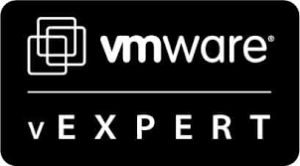 I want to share this with you all, Luke Wignall and his team from NVIDIA have created some great AppGuides, that helps with understanding how many users can you put on a NVIDIA GRID system with either K1/K2 in a VMware environment. These guides are made together with vendors such as Autodesk. 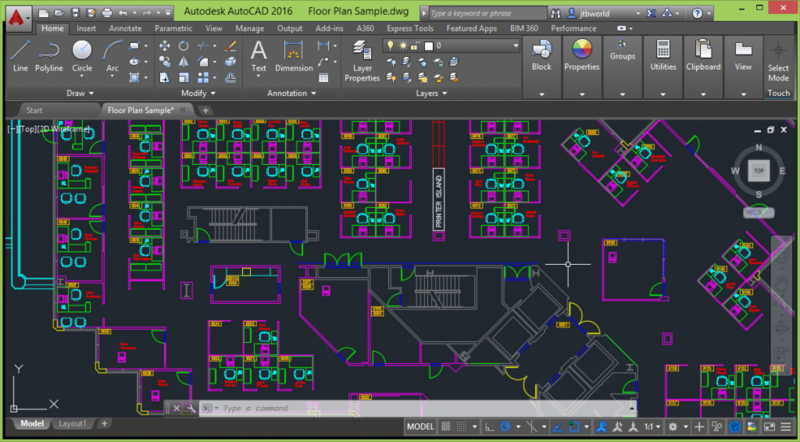 The guides focus on following apps Autodesk AutoCAD. 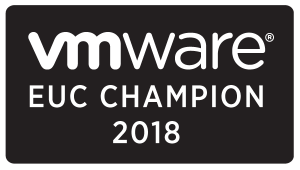 In this blogpost my goal is to highlight the great work NVIDIA have done creating the scalability app guides and these guides helps you if you want to virtualize Autodesk AutoCAD 2015 with NVIDIA GRID and VMware Horizon. 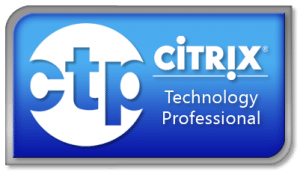 The guides are great – cause they give an idea what you would require in a virtualized environment and these can be reused for other virtualized platforms such as Citrix and Microsoft – keep in mind that results might be different. If you would like to get more informations about how the setup is configured and which methodology i recommend you read the AppGuide, you can download it in under source in the end of this article. Autodesk AutoCAD is one of the most globally used software platforms for CAD design and documentation. 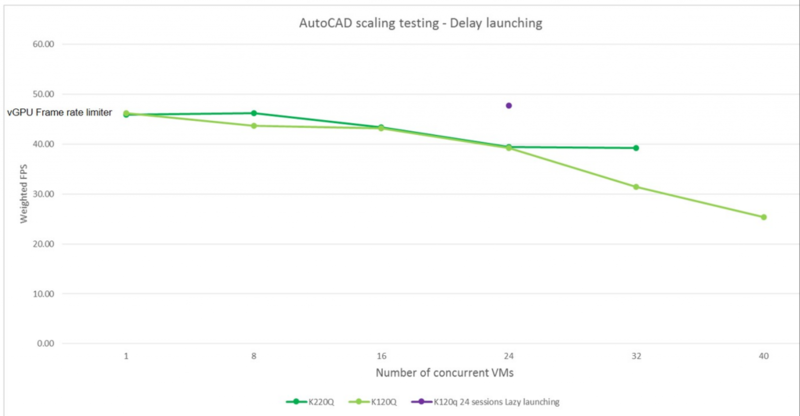 AutoCAD leverages both CPU and GPU to deliver a high quality user experience, and as a result, there are several things that need to be considered in architecting your GRID vGPU solution: the size of your map data, the concurrency of your users, and the level of interaction with primary 2D and some 3D data. 32VM : K220Q perform better than K120Q but K120Q is still maintain avg 31FPS. 48VM : one you hit 40 VM running, avg FPS is dropping below 10 FPS. Notice that as scale, the number of concurrent VM’s increases, there is an obvious drop in performance, and logs will show this is the CPU becoming 100% utilized. This is a “peak workload” test as all sessions are started in unison, we would expect humans to be more staggered in their workflow. The next chart shows results when we add that synthetic human behavior, we delay the launching of each session by 5 seconds, this offsets the tests and prevents all tests hitting the same function and impacting the CPU in unison. Notice that with delayed launching, or staggered starts, the performance remains high to a much greater scale of concurrent sessions. • vCPU – 2 vCPU are sufficient for this benchmark, however increasing model size and complexity will change this. • Virtual System Memory – 2 GB is sufficient for this benchmark, however increasing model size and complexity will change this. Based on the NVIDIA GRID™ Performance Engineering Lab (GRID P.E.L.) 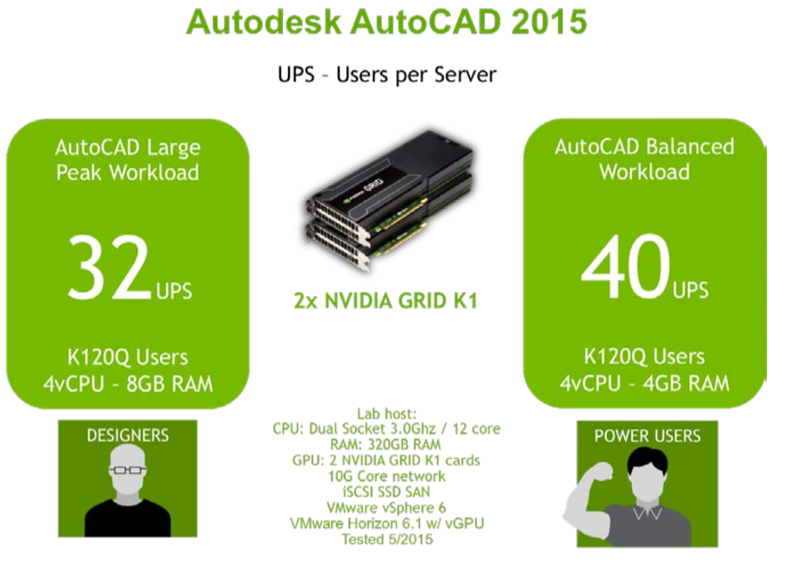 findings, NVIDIA GRID provides the following performance and scalability metrics for Autodesk AutoCAD 2015. 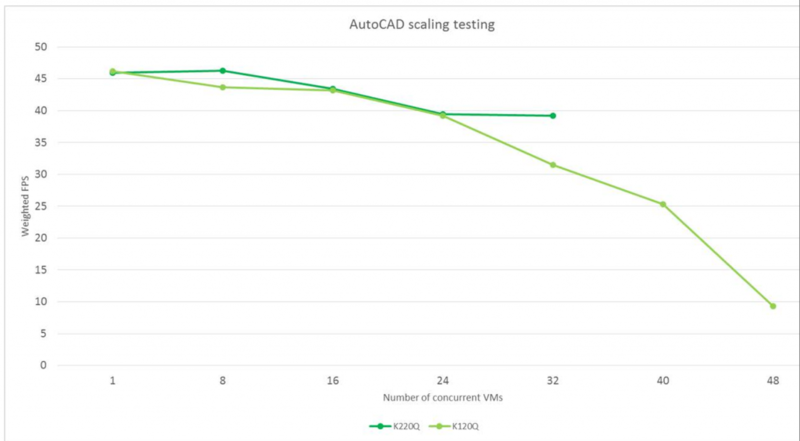 These metrics are based on tests with the lab equipment shown in the graphic below, using the Cadalyst benchmark, and in working with Autodesk and their emphasis on end user usability. Of course, your usage will depend on your models and equipment, so this Application Guide is intended to be used as a starting point for your implementation.